Sensory deprivation tanks were big in the 70s, but who knew they were still around? If you missed out on the experience then (like I did), check out this relaxation technique at a location near you. While the concept remains the same, the main difference today is the name change; apparently the term “sensory deprivation” was a little harsh, so today spas are inviting guests to chill out in what are now known as flotation tanks. 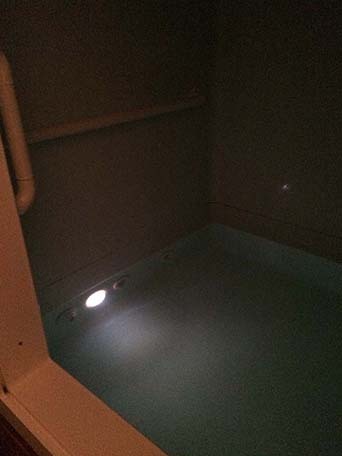 My recent interest in the flotation tank experience started when a friend from work mentioned she’d been feeling stressed and really enjoyed an hour in a float tank at a day spa in my town. The idea is to float in a dark, silent tank of buoyant water to relax and unwind mentally and physically. She said her mind was active when she first got into the water, but then it calmed and she became amazingly tranquil. When she got out, her legs felt like limp noodles. 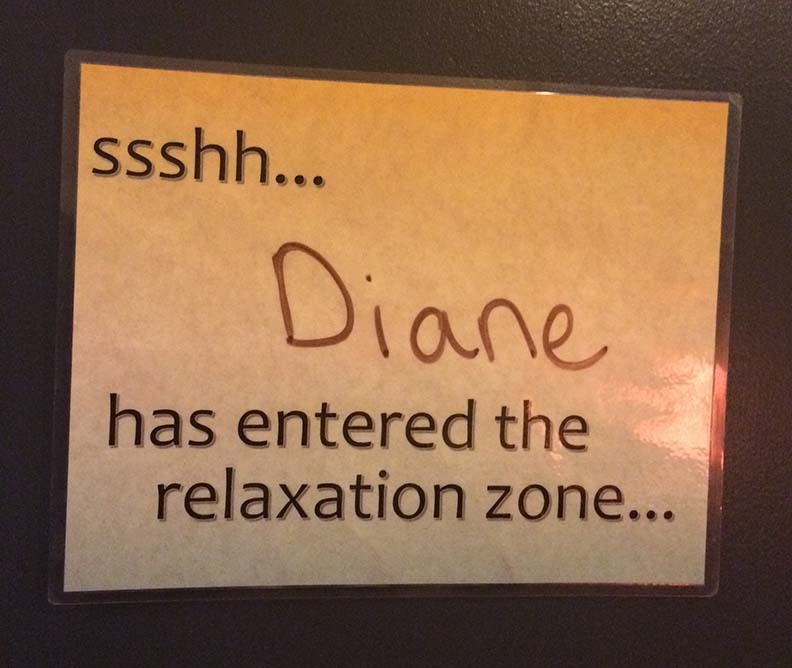 She then told me the experience was more relaxing than a massage — and I was sold. Since I love massages, felt compelled to check this out! My adventure-loving friend C agreed to go with me to the same spa, and we scheduled our flotations for the same time — which happened to be after we took a free introductory one-hour spin class that was just brutal. So we needed relaxation big-time. The spa attendant showed us around the facility, which included showers and 4′ x 8′ x 8′ flotation tanks, and explained how everything worked. 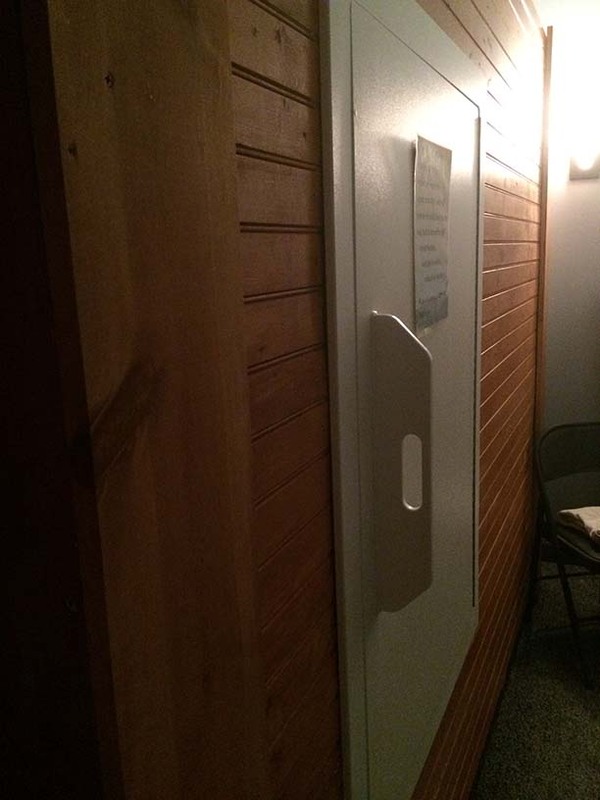 The flotation tank rooms looked like high-end steam rooms to me, not at all like the pods I’d imagined! The tanks themselves were giant tubs inside wood plank walled enclosures with doors, within larger private rooms. The attendant gave us each a pair of heavy-duty ear plugs, showed us how to turn off the lights to make the tank dark inside and demonstrated that we could open the tank door and get out at any time, or stay inside and leave the door ajar if we wanted an alternative to darkness. She also explained that when our one-hour time was up, soft music would be piped in. If that didn’t arouse us (in case we fell asleep), whirlpool jets would activate. The woman explained that the water inside the tank was 10 inches deep, 93.5 degrees (same as skin temperature), and filled with 1,100 lbs. of epsom salts — making it more buoyant than the Dead Sea, and guaranteeing that we’d float. She offered us each a short pool noodle to place under our necks or under our knees, explaining that some clients felt more comfortable using them. 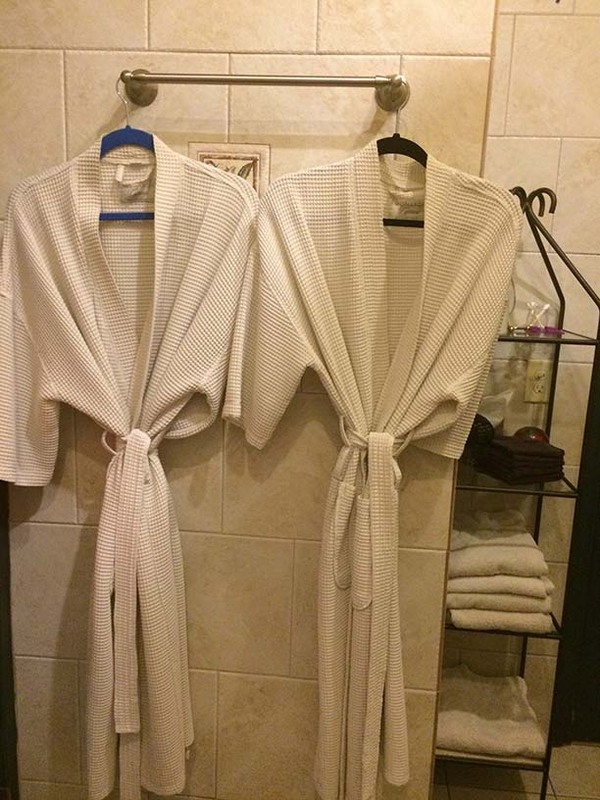 We divided up for our big adventure… which started with taking showers to remove lotions, oils, etc., and changing into robes before entering the tanks. Inside the room that was reserved for me (see the sign), I turned off the lights in the larger room outside the wooden enclosure and entered the tank, which had a sort of “night light” under the water. When I tried to turn out the light inside the enclosure to nix the “night light,” it didn’t seem to work. I pressed the “doorbell-like” button repeatedly, but the light wouldn’t disappear. So, I placed the noodle under my neck (still wasn’t 100 percent sure I wouldn’t drown), gave up on that and tried to relax. I just “thought” for a while — but spent the first few minutes mentally fuming about how the light was not letting me have the dark experience I anticipated. I finally called out “hello?” thinking someone might be monitoring for sound and I could ask about the light. No luck on that — and I wasn’t going to wrap a towel around my wet body, drip across the room and peek out the door to the hallway to look for help — so back to the relaxation. Next, I shut my eyes and tried to focus on breathing in and out (because a song kept playing over and over in my head; I’m not too good with the relaxation thing). After moving the noodle to a more comfortable spot beneath my knees and discovering my head didn’t sink after all, everything seemed to come together. I felt weightless — like the pleasant sensation of lying on the sand on a warm, sunny day at the beach — and eventually drifted into and out of a pleasant almost-asleep state. A while later, the music began — the cue to arise from the water world, take another shower to wash off all the salt (! ), dress and return to the real world. The whole experience was definitely interesting! I just wish I’d taken the initiative to get out and ask about the light, so I didn’t feel like a kid with the “nightlight” on the whole time — but it was relaxing and refreshing. The attendant told us during the pre-float tour that an hour floating/sleeping in the tank was equal to four hours of deep sleep, which I was a little skeptical about at the time — but the next morning (Sunday), I woke up at 6:30 (that never happens on a non-work day!) and felt peppy all day. Would I go back and do it again for $69? Not sure… but it was fun to have had the flotation experience once! 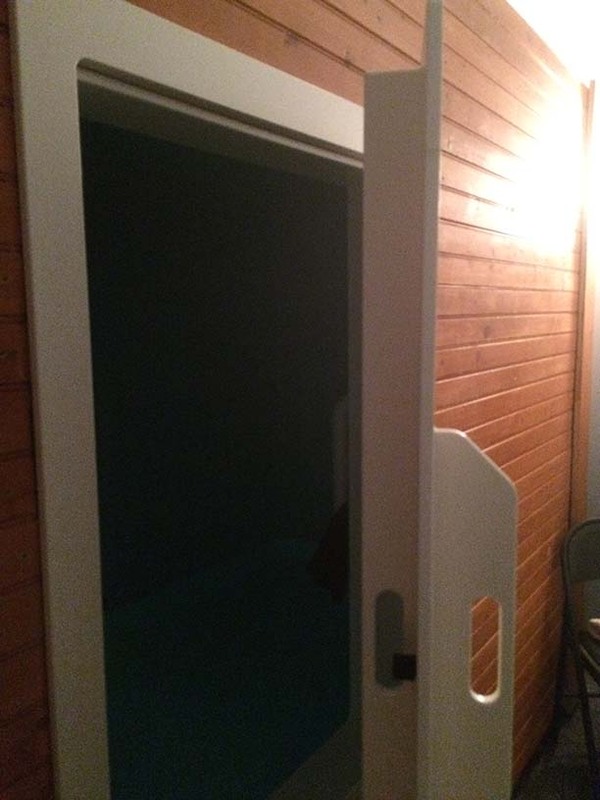 This entry was posted in life and tagged float tank, flotation tank, relaxation, sensory deprivation tank, sensory deprivation therapy, spa. Bookmark the permalink. Wow, I could never do that. I hate close spaces and I would be a mess the whole time. Sounds like you liked it though. I never heard of this until last week someone told me about going. She could still feel it the next day. She said you could also do 30 minutes for half of the price. I’m glad you have friends who like to try new things. 30 minutes might be good. Are you going to try it? If we lived the same place, we could try new things together! 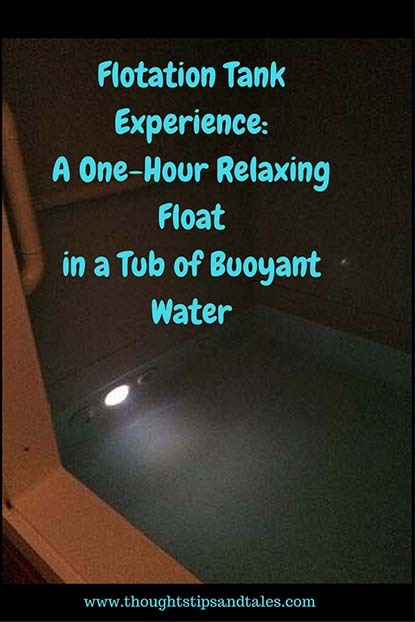 Thank you for sharing your experience with flotation therapy. That is unfortunate about the light, but I am glad you had a good experience anyways.